Today Evilsperm posted on ps3crunch that he is in need of a new logo. If you are a designer take up the competition and post it here. We are in need of a new logo and are looking to all of you to create one. 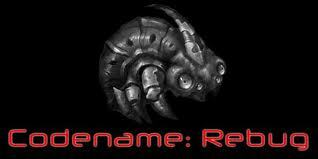 This will be used for the main http://Rebug.me site and apps. Also This will be used for the new coldboot.raf (the logo that shows when you boot the ps3). Remember this is a Competition and we will only be running it for a few hours so get to it!